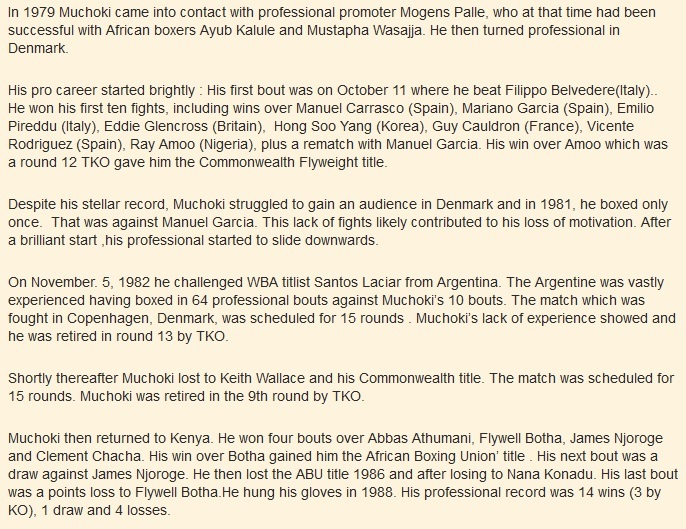 This entry was posted in kenya boxing, Kenya Sports news and commentary, kenyan boxers. Bookmark the permalink. 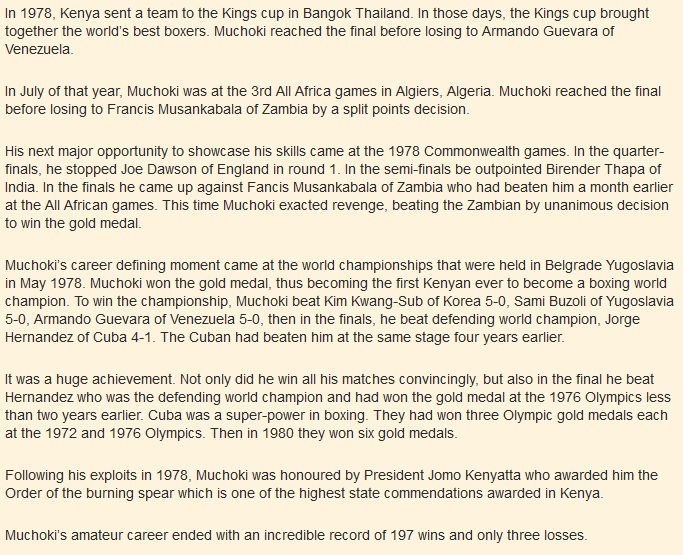 where is stephen muchoki. is he still alive. 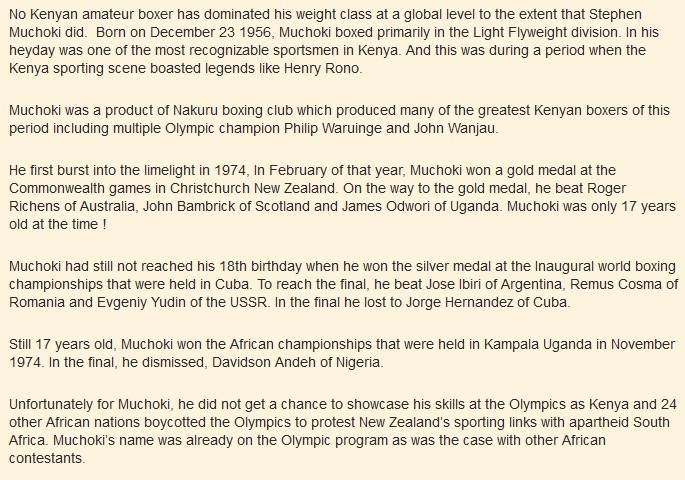 Muchoki, how did you beat James Odwori? He was much taller than you, and he was skillful!